As a business owner are you checking the overall health of your business? Understanding and analysing your financial reporting is imperative to the sustainability of your business, now and in the future. If you rely on your financial year end meeting with your tax accountant to complete your one and only annual review of your financial results, its already too late. You need to understand your business so you can manage and control your finances 12 months of the year. This will allow you to make informed decisions using the facts from your accounting software and not intuition from your bank balance at the time. – What was your performance in past years? – Are you increasing your income year by year? – What is your cost of sales from this month to last month? – Are your wages expenses increasing and why? Financial analysis can tell you a lot about the performance of your business, and assist you to identify any problems. You can then implement the necessary corrective actions and improve the operations of your business. However, timely action is imperative, , so make a committment to regularly review and analyse your financial reports on a monthly basis. This is at its basic form, of course it can get more comprehensive within your Chart of Accounts depending on your business size and what decisions you need to make. Simply put Assets are the things we “own”, Liabilities are things we “owe”, and Equity is the difference – the net value of what we own or what we owe. 3. Accounts Receivables – Show me the money! This report is very important as you need to track who owes you the money, which customers have outstanding invoices to your business. Track it weekly and follow them up – this is classified as an Asset on your Balance Sheet . 4. Accounts Payables – Pay your bills – this is what your business owes on credit to your suppliers – this is a liability on your Balance Sheet. 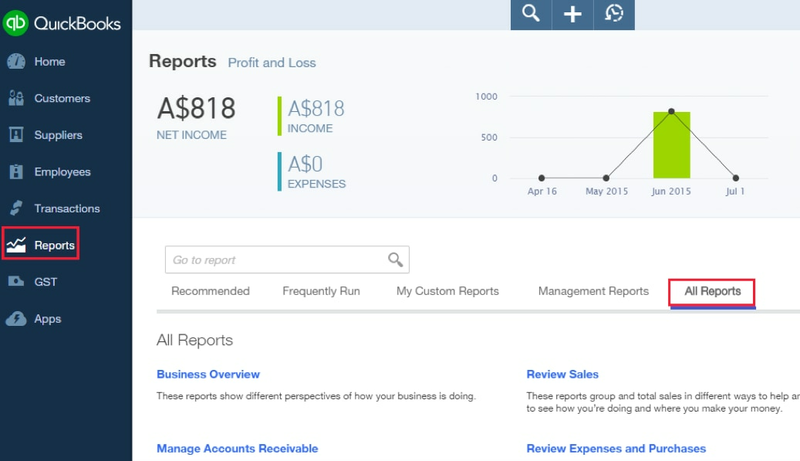 QuickBooks Online has a wide variety of built-in reports for your Healthcheck. Once all of your accounting data has been allocated and reconciled, your books are ready for your monthly health check. Some other useful information about the accounting reports can be found here, including a video. 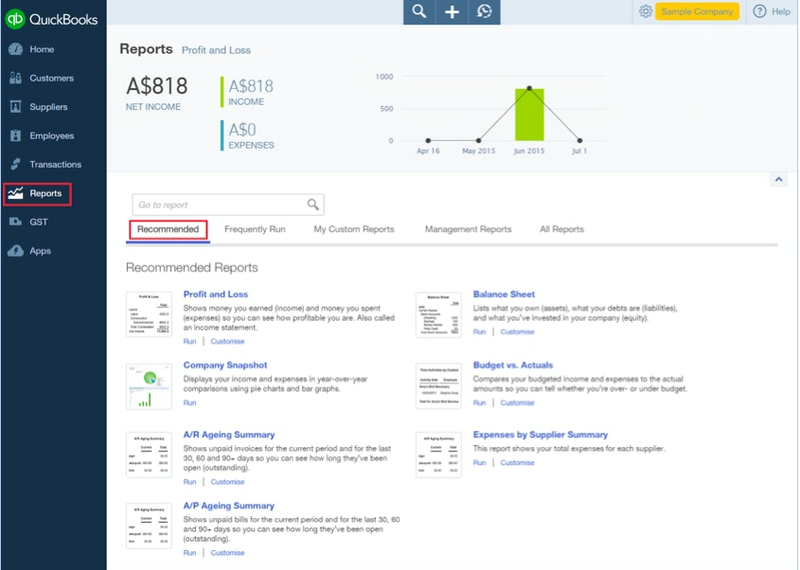 How do you find these reports in your QuickBooks Online file? If you click > Reports from your left hand side navigation bar click > Recommended the reports mentioned above are listed here. If you want to run the Profit and Loss – click on > Profit and Loss. Edit the date to choose the Period you are reviewing by either by clicking on the down arrow next to Transaction Date or manually selecting the From and To date boxes. Also if you need to Customise this further click on > Customise button for various options such as: Previous Period – $ change or even % Change. 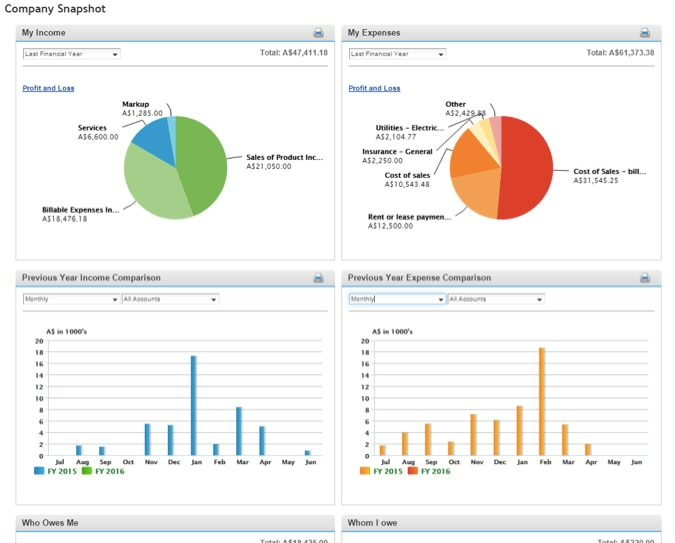 Select > Business Overview from All Reports. These reports show a different perspective of your business health. See below for explanations on some of these reports. Profit and Loss – shows revenue you earned (income) less expenses you incurred so you can see how profitable you are. Also called an income statement. 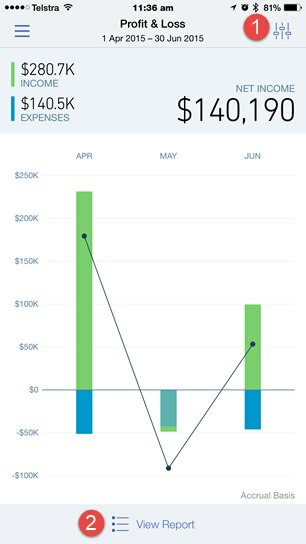 Company Snapshot – displays your income and expenses in year-over-year comparisons using pie charts and bar graphs. Shows cash generated by your business (operating activities), cash spent on your business (investments) and cash in or out from stock and dividends (financing). Balance Sheet Summary – summarises what you own (assets), what your debts are (liabilities), and what you’ve invested in your company (equity). Balance Sheet – lists what you own (assets), what your debts are (liabilities), and what you’ve invested in your company (equity). Profit and Loss Detail – Lists the individual transactions and totals for revenue you earned (income) and expenses you incurred. Scorecard – compares your profitability, sales growth, and cash flow to other companies in your industry (peer group). 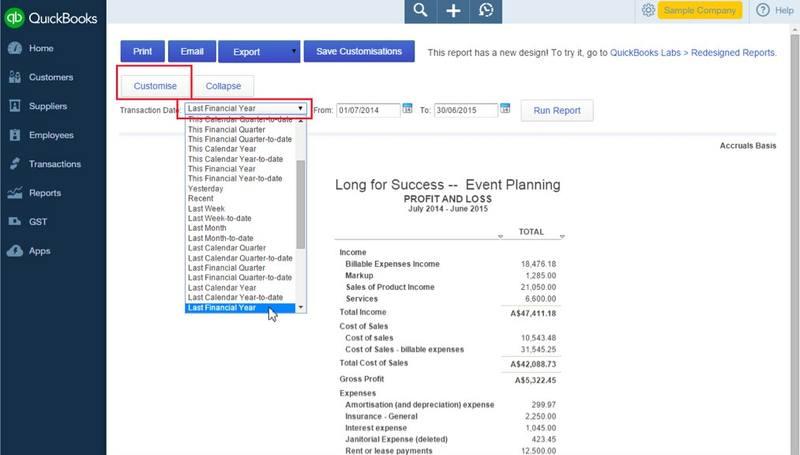 Audit Log – shows everything that has happened in your company file so you always know who’s been in QuickBooks and what they’ve done. 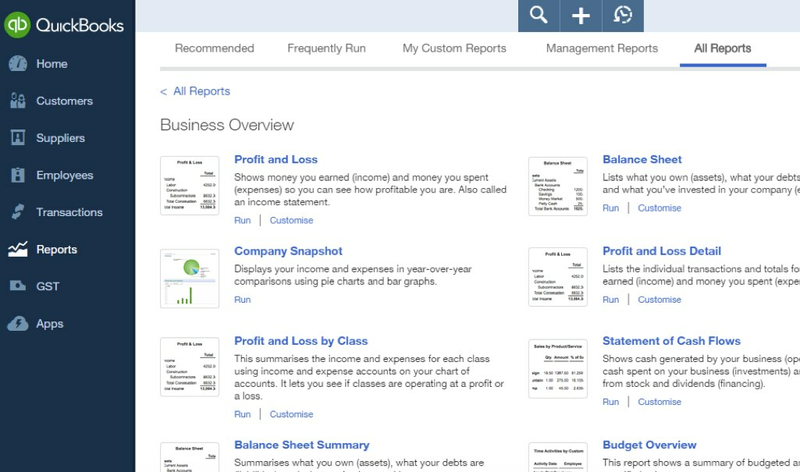 These are just a few reports that are available to you in QuickBooks Online that you can use to review your business health, ultimately leading to more informed business decisions and increased profitability. 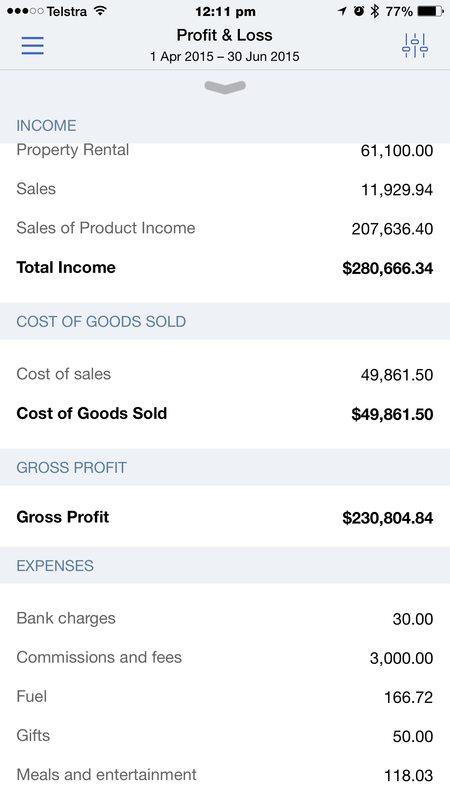 Did you know you can run a Profit and Loss report from QuickBooks Online iPhone, iPad and Android apps? 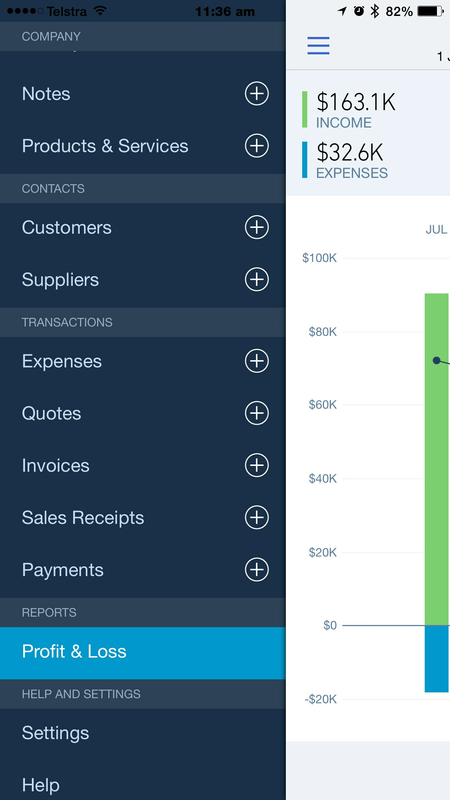 QuickBooks Online mobile apps can be downloaded from: App Store or PlayStore. 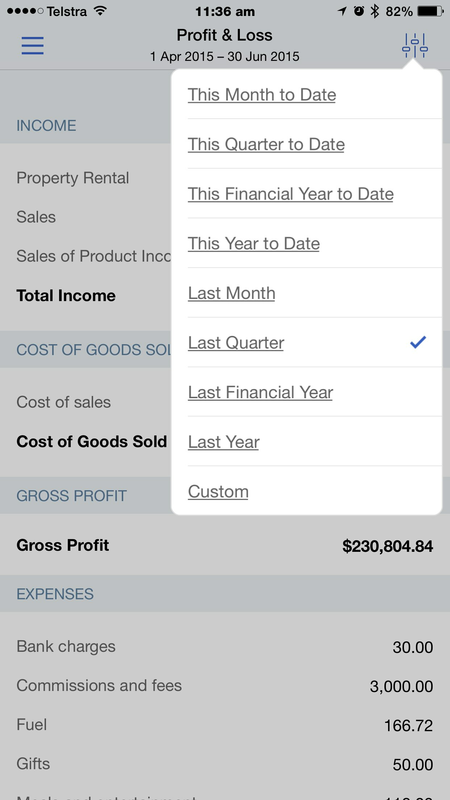 The mobile apps are great for business owners on the road as you can raise quotes, invoices, capture receipts and also run Profit and Loss Reports. 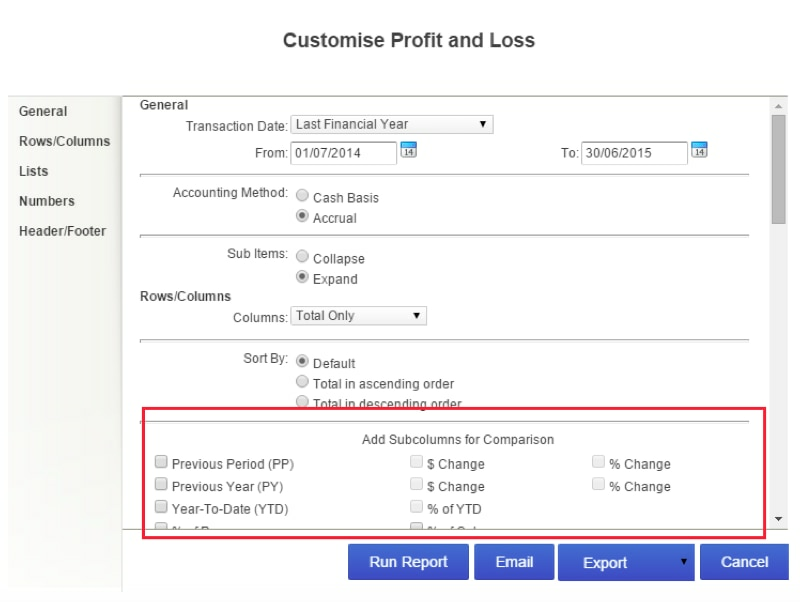 You can run a Profit and Loss (PnL) report from the left hand side navigation bar (similar to QuickBooks Online on the browser) by selecting on Profit & Loss. Having access to the P&L report on the mobile app is great if you are out on the road and do not have access to your laptop. By checking your P & L report you can keep tabs on financial health of your business. Reporting on the go made Seriously Easy!